How well do we really know dogs? People may enjoy thinking about them as 'man's best friend,' but what actually drives the things they do? What is going on in their fur-covered heads as they look at us with their big, expressive eyes? 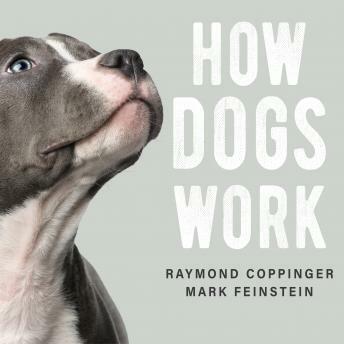 Raymond Coppinger and Mark Feinstein know something about these questions, and with How Dogs Work, they're ready to share; this is their guide to understanding your dog and its behavior. Approaching dogs as a biological species rather than just as pets, Coppinger and Feinstein accessibly synthesize decades of research and field experiments to explain the evolutionary foundations underlying dog behaviors. They examine the central importance of the shape of dogs: how their physical body affects behavior, how shape interacts with the environment as animals grow, and how all of this has developed over time. Shape, they tell us, is what makes a champion sled dog or a Border collie that can successfully herd sheep. Other chapters in How Dogs Work explore such mysteries as why dogs play; whether dogs have minds, and if so, what kinds of things they might know; why dogs bark; how dogs feed and forage; and the influence of the early relationship between mother and pup.